Russia exported a little less gas to the EU in September than it did in August but it looks set to beat last year's record. Russian gas exports to the European Union (EU) were slightly down compared with August 2018 but up 8.3% on September last year and on track for another record-breaking year. 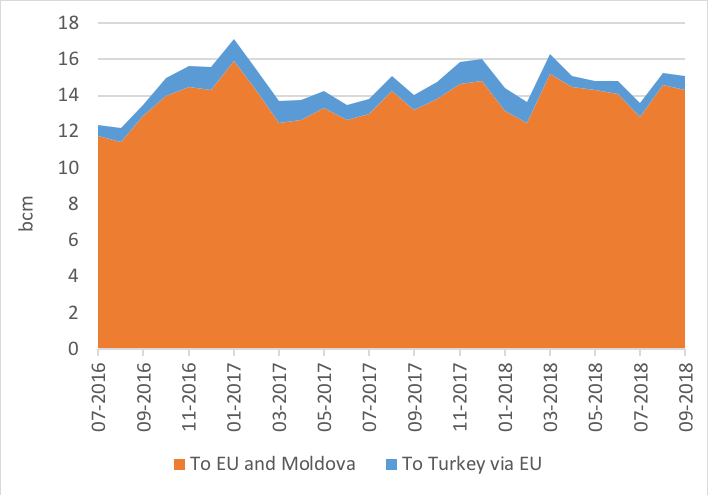 Even if there were some specific days of record daily deliveries of Russian gas to the EU, on average Russian flows in September were down 1.9% and this was mainly because of a growth of Russian flows to Turkey via Ukraine, excluded in this monthly EU analysis. 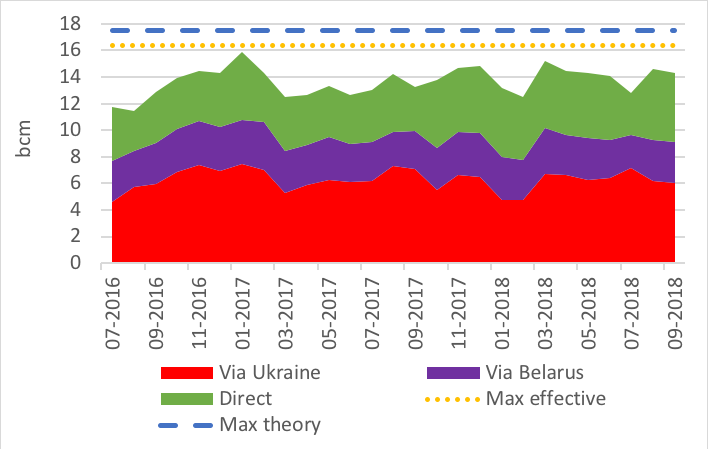 The overall monthly drop affected all routes: Ukraine was down 2.4%; direct flows (including Nord Stream, Finland) down 1.9%; and Yamal-Europe down 1.1%.